Washington State Medicare Advantage plans – often called Part C of Medicare – are offered by private insurance companies under contract with Medicare. All Medicare Advantage plans cover – at a minimum – what’s covered under Medicare Part A (inpatient hospital, skilled nursing care, etc.) and Part B (doctor and outpatient services). However, many also include coverage for Part D prescription drugs, and some provide additional services including dental, vision and hearing. Every person having Part B must pay a monthly premium for it, unless otherwise paid by DSHS Medicaid. In addition, many Washington State Medicare Advantage plans have monthly premiums or deductibles, although some are offered with a $0 monthly plan premium and no deductibles. When services are received, members typically pay a share of costs in the form of copayments or coinsurance as set forth in the fixed annual schedule of the plan, with the balance paid by the insurance company. Most plans have an annual out-of-pocket maximum, that limits members financial liability for their share of such costs. To enroll in a Medicare Advantage Plan, a person must have both Part A and Medicare of Medicare; must be a permanent resident of the Plan’s service area, and can’t have end-stage renal disease. 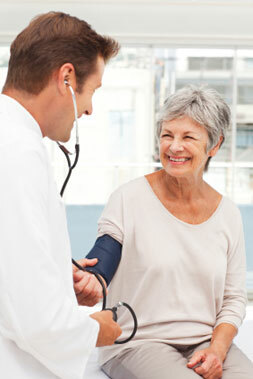 All Medicare Advantage plans run annually on a calendar year basis, and automatically renew from year to year. There is a time period each year called the Annual Election Period, which runs from October 15th to December 7th, during which a person can enroll in, or switch, plans, with coverage starting January 1st of the following year.